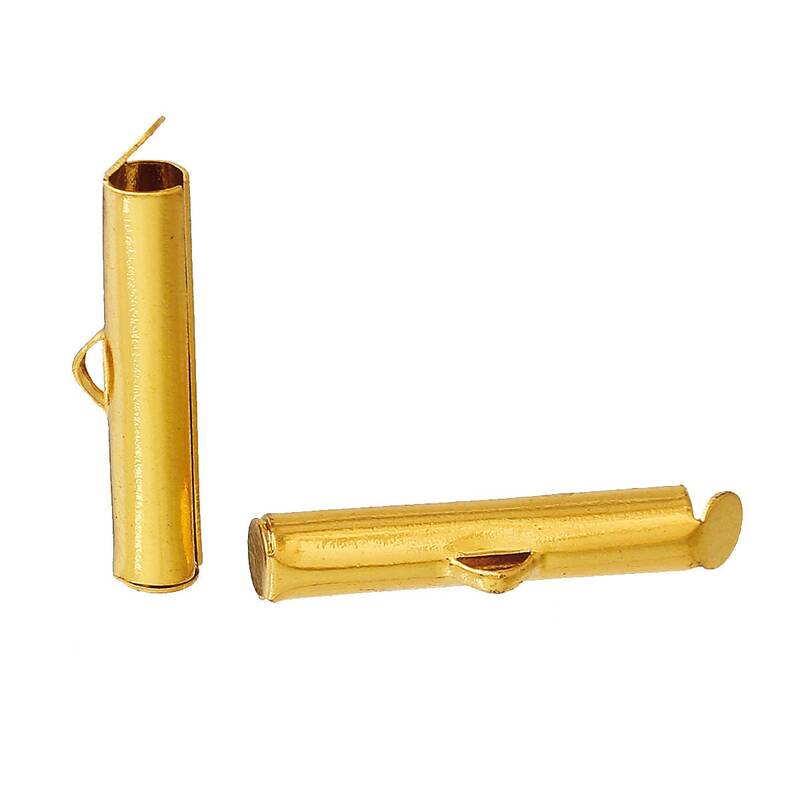 10 Gold Plated steel slide tubes measuring 20mm x 4mm (5 pairs) - about 1" x 1/4"
These work great with size 8/0 and 11/0 seed beads - they finish your bead woven piece and they look great too! 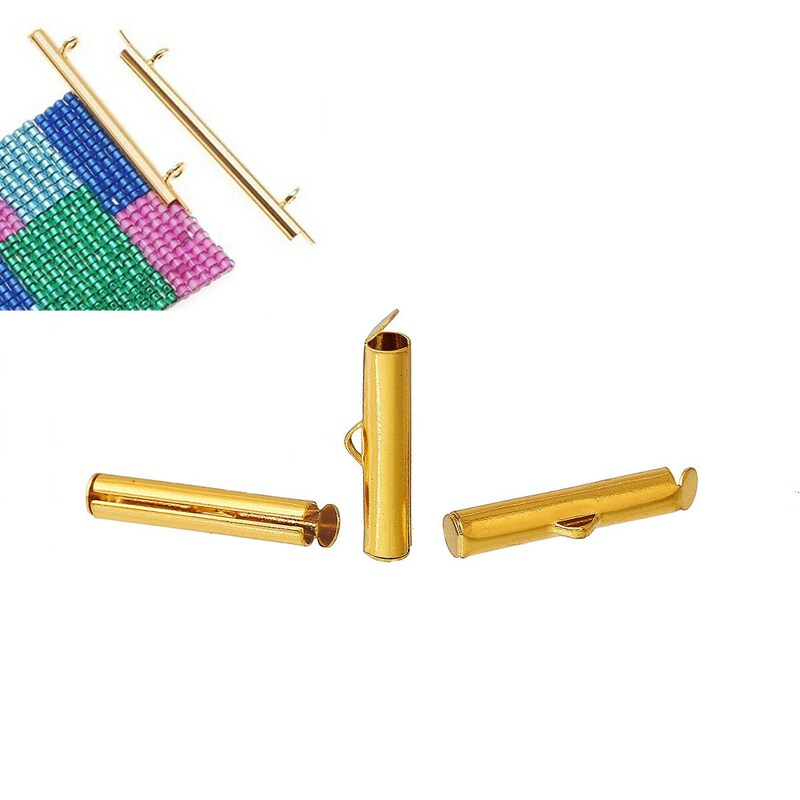 Quickly and easily finish off seed bead woven projects with these tube ends. Simply insert end of woven project into opening. Gently pinch with a pair of pliers and bend open end down. For a more secure finish use a small amount of glue prior to folding over end. Great for loom work and square stitch! 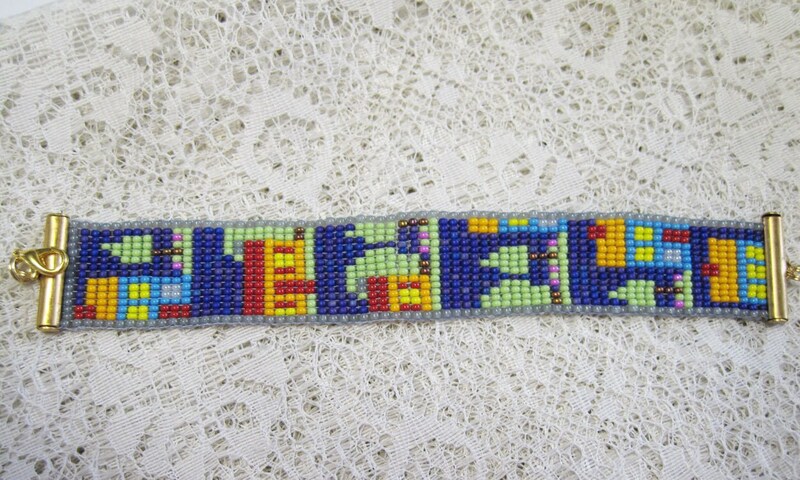 Last picture shows a finished loomed bracelet using size 11/0 rocaille beads. Bracelet is not for sale in this listing.